Dr.Ramakrishnan graduated from Stanley Medical College, Madras and subsequently worked in United Kingdom and USA for over 13 years and returned to India in 2003 as he was keen on �making a difference�. 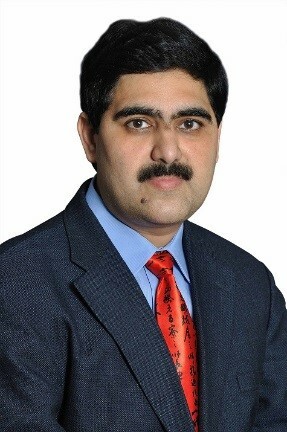 He has been instrumental in developing Chennai Critical Care Consultants (www.icuconsultants.com), a private practice group of critical care specialists. Specialized, innovative Tele ICU services are also provided to serve critically ill patients anywhere, anytime (www.inteleicu.com). The group has also successfully established TACT Academy for Clinical Training (www.tact-india.com) which is India�s first simulation based healthcare training center and has won award for innovative concept in healthcare education and also listed for this distinction in Limca Book of Records. Dr. N. Ramakrishnan is the first Board Certified Sleep Specialist to practice in India and established Nithra Institute of Sleep Sciences (www.nithra.com ) in 2004 and is the Immediate Past President of Indian Sleep Disorders Association. Nithra Institute of Sleep Sciences has the distinction of being the first institution to offer a post doctoral fellowship in Sleep Medicine affiliated to Tamilnadu Dr. MGR Medical University and also to be the first Sleep center in India to receive accreditation from National Accreditation Board for Hospitals and Healthcare Organizations (NABH). He has been honored with fellowship by American College of Physicians (FACP), American College of Chest Physicians (FCCP), American College of Critical Care Medicine (FCCM), Indian College of Critical Care Medicine (FICCM) and Indian Sleep Disorders Association (FISDA). He has also received prestigious awards including �Best Doctor Award� from Tamilnadu Dr. MGR Medical University, �Young Achiever Award� from Vaishnav Group of Institutions and �Vocational Excellence Award� from Rotary Club. He is a respected teacher and an invited speaker in several national and international medical conferences and has several original research publications and invited articles to his credit. He has also authored four books in Tamil for the public addressing issues relating to ICU, Sleep and Organ Donation. He has received several honors form medical professional societies including orations and was also invited to meet the honorable president of India, Dr.A.P.J Abdul Kalam who appreciated his contributions in the field of Critical Care & Sleep Medicine.